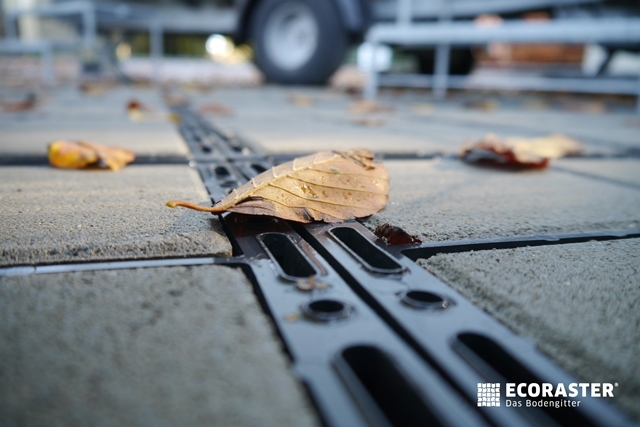 B8 Ventures is proud to provide Canada with the Ecoraster product line, created to offer permeable paving solutions, ground reinforcement and more. Made from sustainable and recycled materials, these interlocking geogrid systems provide sub-base and soil stability in virtually any terrain. Installation of Bloxx is simple. It only requires minimal base excavation while retaining its structural integrity. After a drainage layer of clear or washed gravel is put down and packed, you’ll just use the grid component to stabilize where necessary. Bloxx are available in several colors, and the color choices and combinations allow you to perfectly customize your project. Made from 100 percent recycled materials, Bloxx can withstand extremes in temperature and corrosive materials. With a 20-year warranty, you can feel confident in the strength of your project. To get the ultimate permeable paving solutions for your next project, contact us online or by phone today. ©2017 B8 Ventures. All rights reserved.